Cosmetic surgery is a popular trend that has gained momentum in recent years. People not use it to make aesthetic changes to their natural appearance. Some people also have procedures to resist aging and lose weight. A ban on cosmetic surgery would impede on the personal rights of individuals to make decisions about their own bodies. Regulations are put into place in many places that deter those with psychological issues from undergoing procedures. Evaluations prior to surgery help to keep people from doing something they may regret later. Doctors can choose to use their talents for purely cosmetic reasons, or to help people that have been disfigured in accidents. Some may do both. Many are known for their excellent nose job or breast augmentation procedures. A ban on cosmetic surgery would take away job choices for aspiring doctors. Some may prefer the artistic aspect of cosmetic surgery, over other medical niches. A sudden ban would put many people out of work. Cosmetic surgery can help boost people’s self-esteem, and help people recover their appearance after an injury. Cosmetic surgery is an industry that is in high demand. People spend thousands of dollars to change things they are not happy with. People are certain to find a way to continue these habits with, or without, approval. A ban is not a realistic option when it comes to cosmetic surgery. People prefer to make their own choices when it comes to their appearance. In fact, most consider it a human right. Those that make decisions to ban things like this have to first consider the lawfulness of it. There would have to be some severe safety issues to ban consenting adults from having cosmetic surgery procedures. Regulations have already been put into place to protect patients. This is, probably, as far as the general public would allow law officials to go. People tend to speak out in protest when they feel that their rights are being infringed on. People are not likely to stand for changes in their access to cosmetic procedures. The entire United States constitution revolves around people’s freedoms. It is important to maintain the standards of this document in many aspects concerning the lifestyle of American citizens. As it stands, most cosmetic procedures are available by choice. This is the way most individuals would like to see things stay. People can choose their own hairstyles, clothes, and makeup. Cosmetic changes are thought to be a personal style choice. There are many cases where people suffer from low self-esteem. Appearance is a big deal to many people. At work, school, and in social situations, the way you look can affect your success. Appearance is the first thing that people notice about you. When you apply for a job, or meet someone new, you are usually seen before you are heard. While this may be a sad reality, judgement about a person can happen almost immediately. Most of us try to look our best, by dressing nice or applying makeup. These efforts add confidence and help us fit in to different situations. The teen years are usually the most difficult when it comes to appearance related self-esteem. These formative years are often the time when cosmetic surgery begins to be thought of. Most procedures have to wait until the body is done growing, however. As a result, many people have suffered from low self-esteem for years before they go in for their first procedure. Cosmetic surgery can help to transform facial and other body features that make individuals feel self-conscious. A renewed self-esteem can be the result of a successful cosmetic procedure. Cosmetic surgery can help people become more outgoing, more interactive, and less isolated. Even a subtle change can make all the difference for someone who has been upset by their appearance for many years. Some aspects of the body may make people physically uncomfortable. Women with large breasts often choose to have a reduction. A large chest can cause severe back pain over the years. It can also make athletic endeavors difficult. A simple run can be incredibly complicated when the chest is very large. It can be difficult to find supportive undergarments, as well. The lack of support causes even more pain. A person that is overweight can often be too uncomfortable to even exercise. Severe obesity can cause heart issues, lethargy, and many aches and pains. Diet and exercise take quite of bit of time to take effect. Once the weight starts to fall off, however, extra skin often remains. Some procedures can help get weight loss on its way, and others can help to deal with the aftermath. Extra skin is often removed, and the tummy tucked. This gives a fresh, youthful appearance to a once obese body. Aging comes with a lot of discomforts. Sagging skin is not only, difficult to accept, it can be uncomfortable. Breast tissue becomes much less buoyant as the years go by. Women who have breastfed their children experience a big change in how their breasts appear. They often sag low, due to the stretching that has occurred to allow for milk storage. A slight lift is all it takes to relieve the discomfort of the pull this causes in the chest area. Cosmetic surgery may not seem like something that is considered necessary in any way. Most people consider it a luxury. There are some people, however, that rely heavily on their looks for their source of income. Actors and models have to be extremely diligent about keeping up with their appearance. They often exercise several hours a day, and adhere to strict diets. Elaborate beauty routines also exist to care for their skin and hair. When they begin to lose jobs due to certain features, they may consider plastic surgery to help the situation. 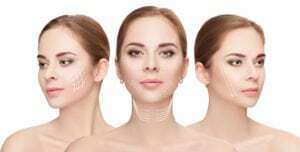 Cosmetic surgery can be used to enhance the face shape, or change a nose to better suit job requirements. Some features are great when they stand out, others seem to get in the way of gaining work. When your livelihood depends on your appearance, it can feel very necessary to make some changes. Some actors make changes so drastic, however, that they are hardly recognizable. When choosing a cosmetic procedure, it is a good idea for these types of people to undergo a consultation for help with final decisions. Athletes may also need to change some things to better perform. A large chest can make some sports more difficult. Things like running, ice skating, and dancing may be much easier with a reduced breast size. Some nose jobs also help individuals to breathe better, or stop snoring. 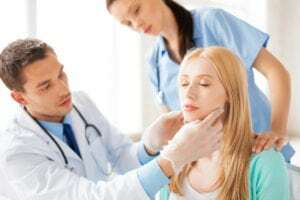 A ban on plastic surgery could severely limit the number of doctors that specialize in the field of cosmetic changes. This could make it difficult to find a cosmetic surgeon when one is necessary for health issues. A shortage of doctors could leave many people in physical pain, as they wait for an appointment with one of the few remaining cosmetic surgeons. Some surgeons that are already practicing, would be out of jobs if a ban were enforced. This could have a big change on the economy, especial in certain geographical areas. Popular demand states that cosmetic procedures are desired by the general public. 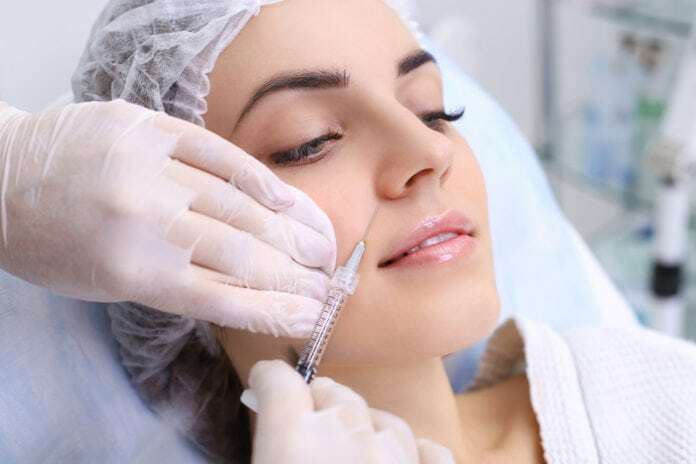 Even a partial ban could make it difficult to maintain the amount of cosmetic procedures that are performed at present. Cosmetic surgeons are also helpful when it comes to helping people bounce back from disfiguring situations. Many people would have to settle for their altered appearance if a cosmetic surgeon is unable to be found. Once a ban falls into place, the fallout from economic effects and public protests would be apparent. Cosmetic surgery is a popular and lucrative profession for many. The loss of this career option would change educational focus for schools, as well. It could be much harder to find a place to study this practice.